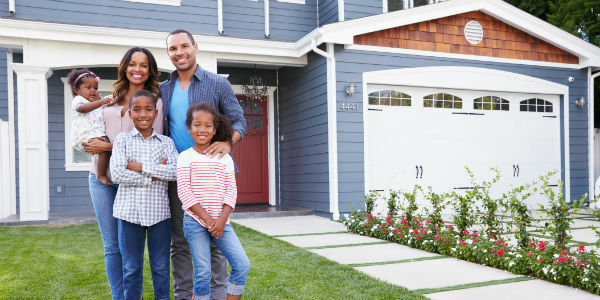 Homes with strong curb appeal can fetch higher prices. Learn simple improvements you can make to increase the sale price of your home. No matter how low mortgage rates fall or how flush the housing market, selling a home can be a long and often difficult process. That’s why it’s vital that you do whatever you can to make your home more attractive to buyers. The first step: curb appeal. When talking to real estate agents, most will tell you that curb appeal is one of the most important factors in selling a home. Why? 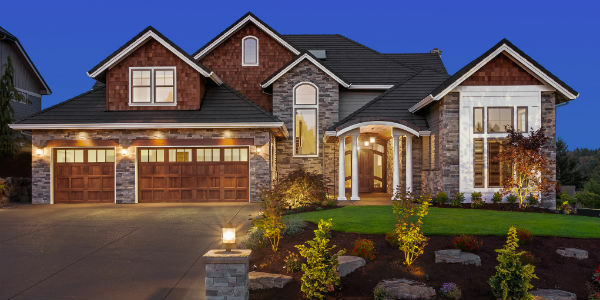 Because homes with strong curb appeal can fetch higher prices. An attractive home exterior can boost the selling price of your home. After all, first impressions are nearly impossible to reverse or undo. So, what does that mean? Do you have to completely update your home’s appearance? Not necessarily. Curb appeal isn’t just about making your house more attractive; it’s about making it memorable and demanding positive attention. A home with high curb appeal can demand higher prices and take less time to sell. The outside is also what brings potential buyers inside. The reality is that many homebuyers begin the buying process online and, of those, over half will drive by a home they saw online. That means that over half of your prospective home purchasers could make a decision on your house by what they can see from the street. Every part of your home’s exterior from the front entryway to the yard, driveway, sidewalk, walls, and windows can make an impression. You probably won’t be able to update or polish every aspect of your home’s exterior, so what should you prioritize? Before you start worrying about your landscape, you should first focus on cleaning the exterior of your home. Just as you’d take the time to scrub your bathrooms and kitchen, you should take the time to wash your home exterior. By simply sprucing up the outside of your house, you can make a strong positive impression on potential buyers. You can start and complete the process over a couple of weekends. All you need is a pressure washer, a bucket of soapy water, and a long-handled brush. Whether your home has wood, vinyl, metal, stucco, brick, or fiber cement siding, a little washing can remove years of dust and dirt. And don’t forget to wash your windows, clean your eaves, and power-spray your garage door. If your walls could use a refresh, consider repainting. It’s not a low-budget option, but it can make a serious difference. If you can’t afford to paint the entire thing, just focus on the trim. As a homeowner, you probably don’t think about your roof that often, but it’s one of the first things that a buyer notices and that an appraiser will assess. If your home has missing, curled, or faded shingles, it can seriously detract from your home’s value. The key is to determine if your roof just needs a solid cleaning or if it should be replaced entirely. The difference is cost and results. Replacing and repairing your roof isn’t cheap. The national median cost of a new asphalt shingle roof is about $8,700. But you can also choose to simply clean your roof for closer to $1,000. A poorly manicured lawn can give a bad first impression to potential buyers. Good landscaping can make a huge difference in the value of your home; just make sure you don’t get carried away. You don’t have to spend excessively on premium landscaping. An appropriate yard facelift can happen for just a few hundred dollars and increase the value of your home by 5-10%. Make sure your grass is neatly cut and green, replacing dead patches with sod from your local department store. You should also trim any trees and prune your shrubs. And, if needed, plant a few new shrubs to replace dead plants or fill in blank spaces. It’s also vital that you pull up weeds, remove dead foliage, and put down a new layer of mulch. Every little bit helps. The typical front door is rather dull. To add some “pop” to your home, consider making your front door your home’s focal point. Replace the standard white door with an artistically rustic creation or paint it red for a burst of color. You can also add character by adding a new mailbox, installing a white picket fence, or laying down a cheery welcome mat.